We stopped at Estero Llano Grande State Park after our walk around Santa Ana National Wildlife Refuge. 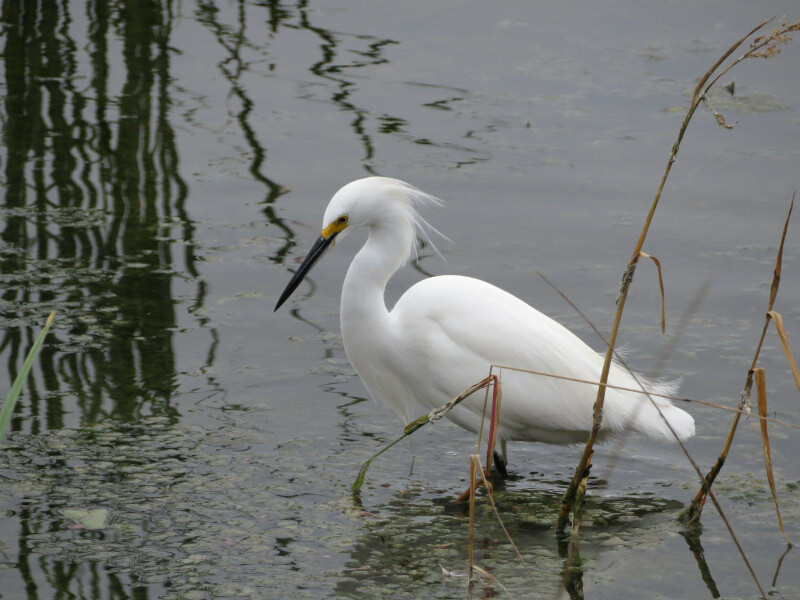 The day was still relatively cold and getting damper…but there were still birds active. 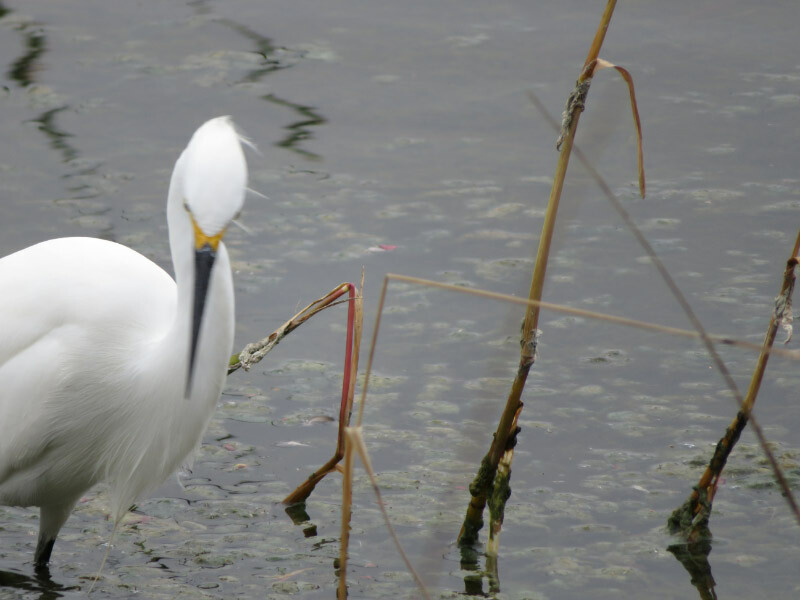 A Snowy Egret was actively searching for lunch. 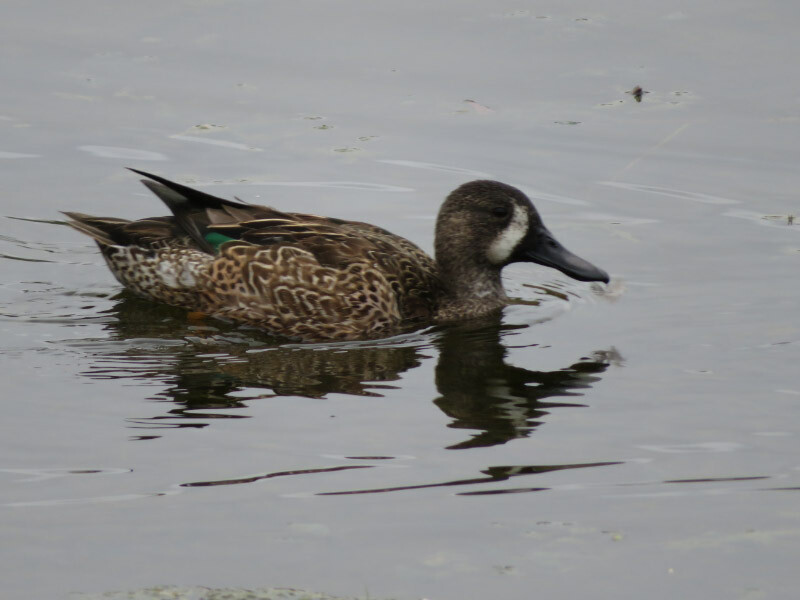 We also saw Blue Winged Teal. The males are easier to identify than the females! A Scarlet Tanager posed on a lamp post across the water. It was far enough way that I had to maximize the zoom on my camera – not the best picture but clearly a scarlet tanager. 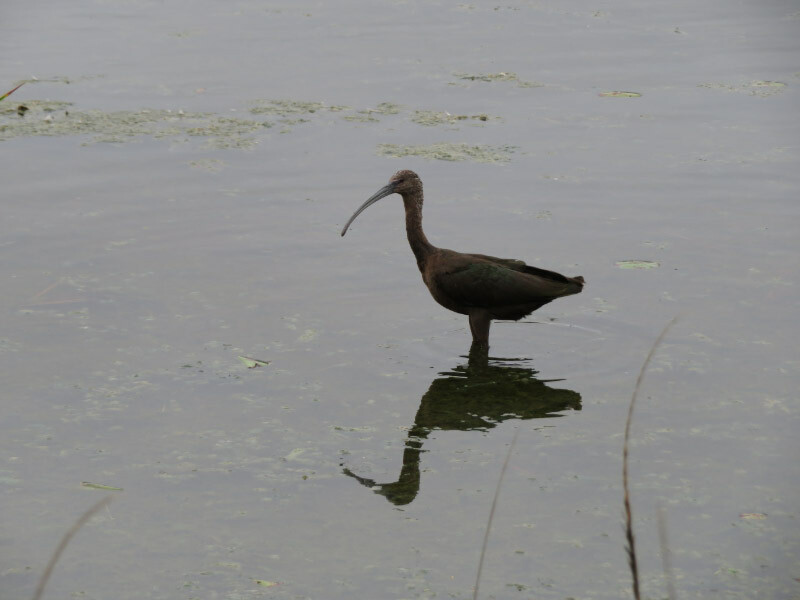 As were the White-Faced Ibis. And American Coots have become familiar to me. 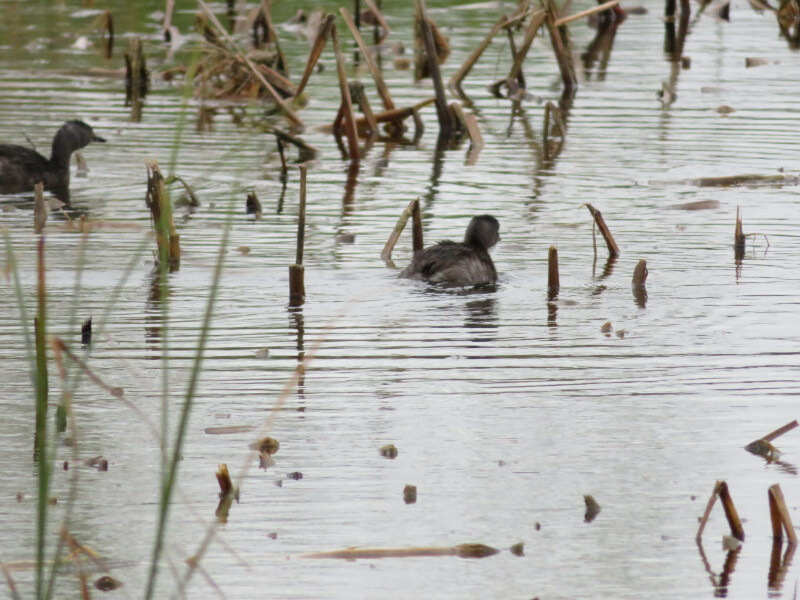 The Least Grebes were a little too far away for a good picture in the dim light of the cloudy day…but their silhouette is distinctive. We were a little damp, cold and hungry by the time we made a short hike. We decided to find someplace for a late lunch and discovered The Smoking Oak in Mercedes, Texas. Great barbeque!